Meet our comfortable, warm and inviting rooms. 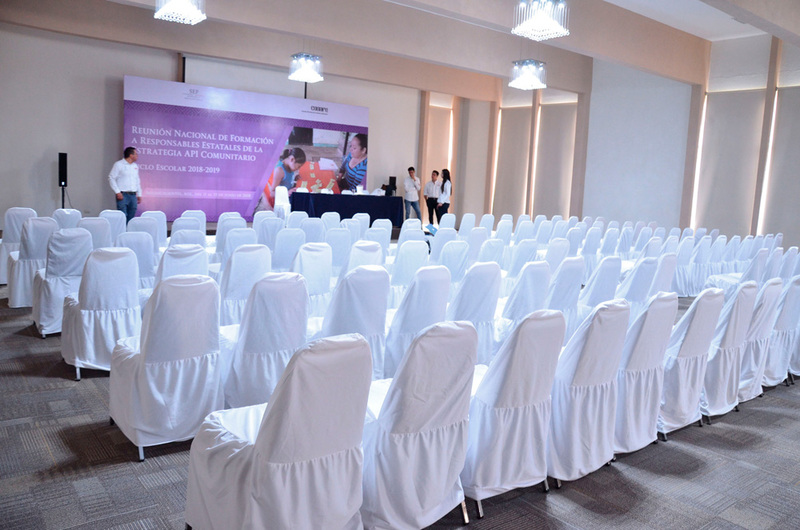 Our Biggest Party Room, ideal for that event that needs wide spaces and a large capacity. 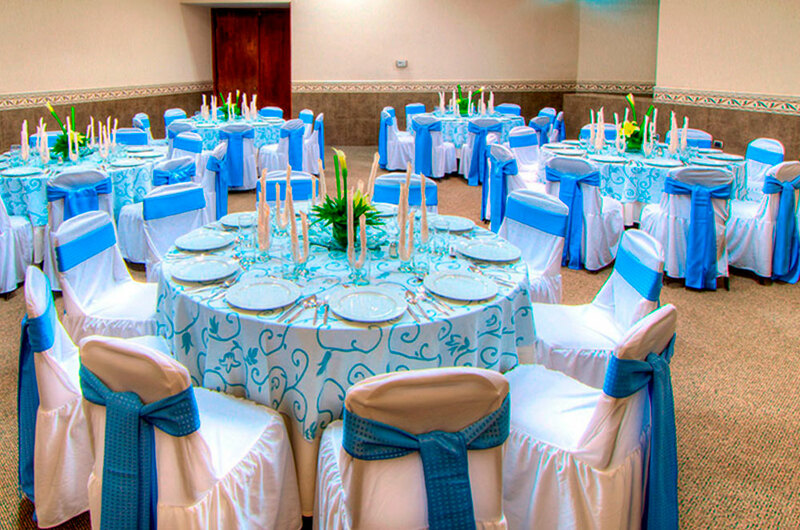 For a weedding, a convention, or a congress, our event room �Portales� it�s the perfect choice. For more information and reservations call to 01 800 813 0404. 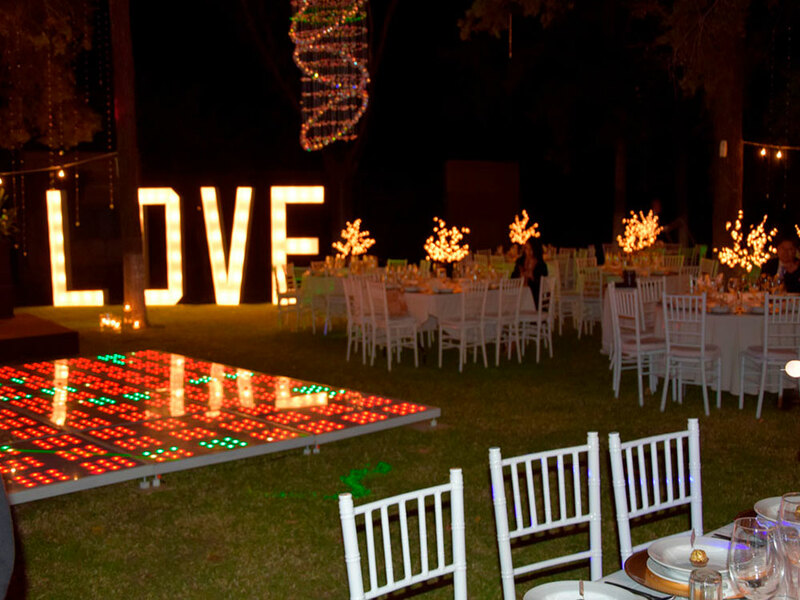 A unique space, a pentagonal design that gives an elegant and different atmosphere to your celebration, designed specially for that intimate moments that deserves to be celebrated. 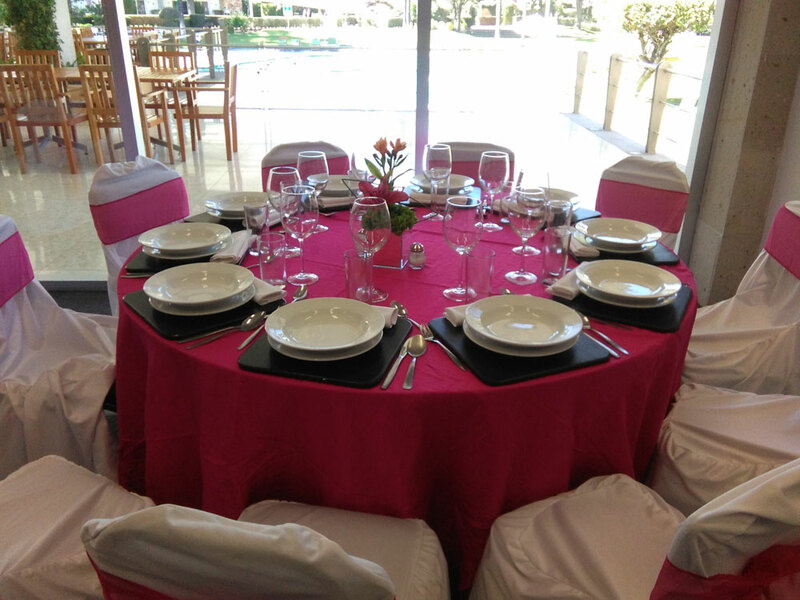 �La P�rgola� a party room designed to provide to the attendees a friendly atmosphere, a unique space and a incomparable moment, that you will only live at Hotel Las Trojes. Some events deserves to be celebrated in unique and elegant spaces. 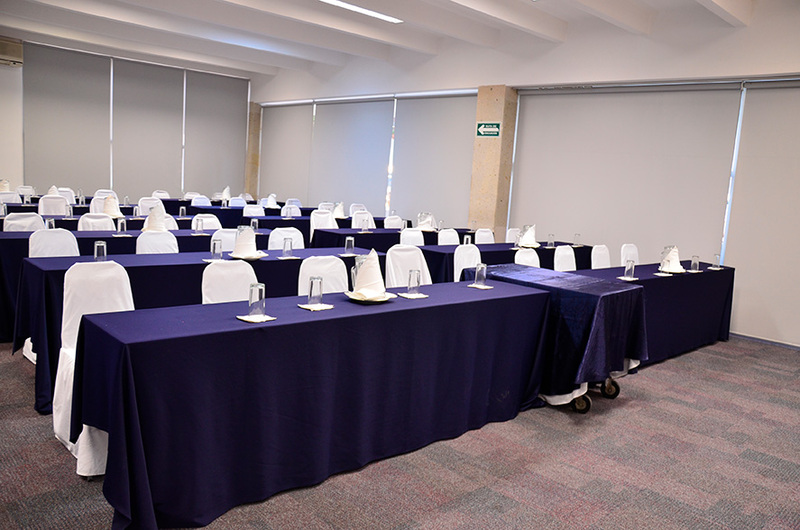 An empresarial meeting, a private conference or a special moment, are perfect to celebrate in our party room �Jardines�. 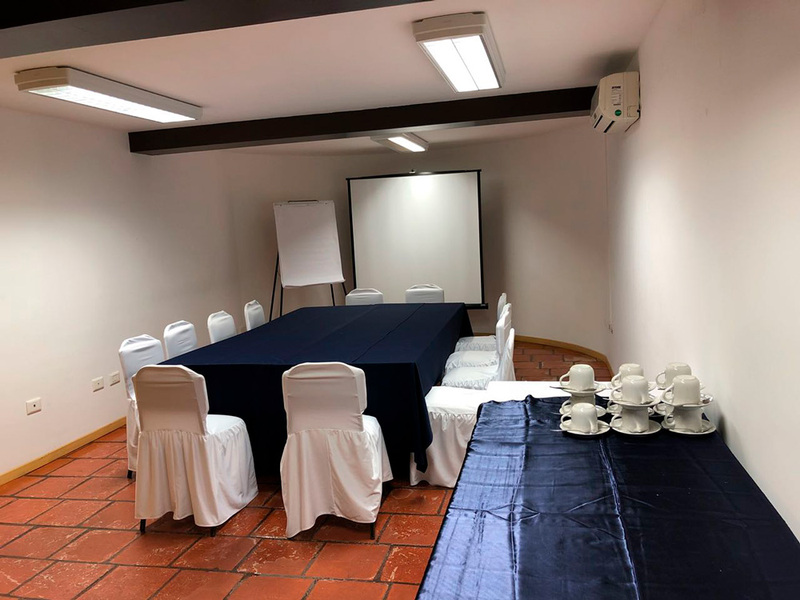 La Cava� it�s our most intimate party room, designed for those meetings that requires privacy, comfort and a space acording to your needs. From a relax moment to an outdoor event, our gardens are designed to be a space where you can connect with yourself and with other people.